At Precision HVAC, our heating and air conditioning contractors are here to help you with all your comfort and air quality needs. Our professionals have the knowledge, skill, and experience necessary to care for your entire HVAC system including your air ducts. We specialize in routine air duct cleaning and maintenance services. With our assistance, you will get the absolute most our of your home comfort system. If you believe that your indoor air quality is suffering because you have dirty air ducts, call Precision HVAC today for help. Our professionals can inspect your entire system in order to provide you with the highest quality indoor air quality services. We will work our hardest to achieve all your goals. Our staff would be happy to take your call, to answer any questions that you may have, and to schedule your appointment today. First and foremost, routine duct cleanings are highly beneficial because they can promote the indoor air quality of your home. On average, the home of a family of four produces 70 lbs of dust per year. This dust and other air pollutants are then circulated around 7 times a day by your HVAC system. Much of this dust can collect in the ductwork of your central air system. These contaminants can cause allergies, asthma, skin irritation, eye irritation, and more. With the help of our professionals, you can vastly improve the indoor air quality through our duct cleaning services. 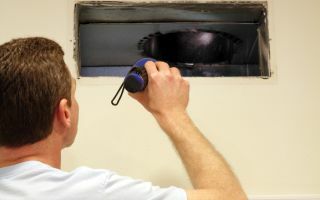 Another reason that you should consider having your air ducts cleaned is that you may be able to promote the energy efficiency of your heater and air conditioner. Clogged, dirty, and obstructed air ducts can compromise the performance of your HVAC systems. With our help, you will be able to ensure that these air pollutants are not causing comfort and performance problems. If you need to hire a professionally licensed heating and air conditioning contractor in Saugerties who provides duct cleaning services, call Precision HVAC today at 845-399-0669, or fill out our online request form.